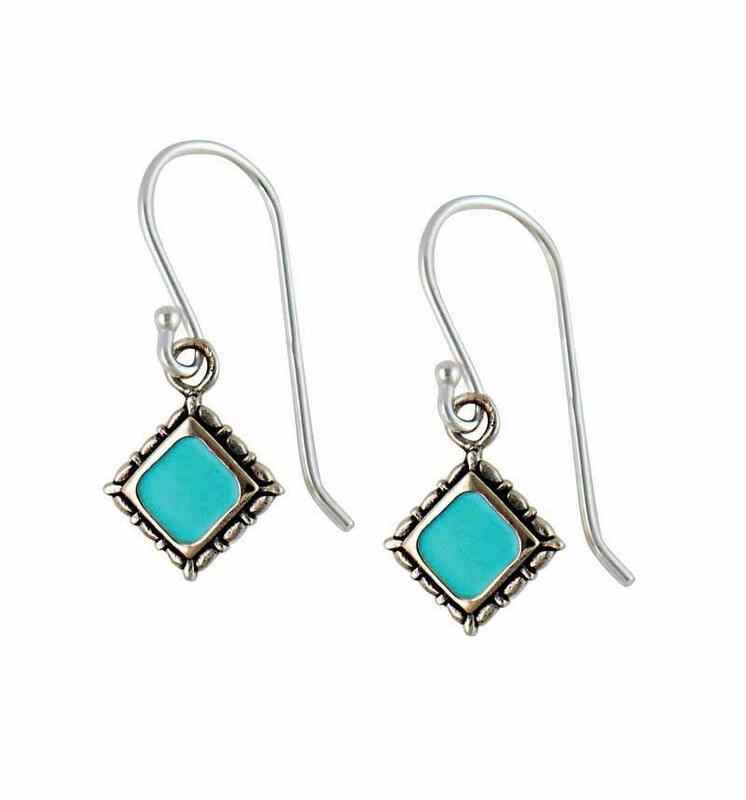 A beautiful pair of Sterling Silver Turquoise earrings Inspired by geometric designs. 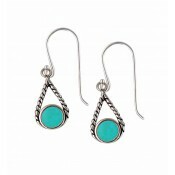 These delicate drop earrings each feature a diamond shape charmed, set with a single and rich turquoise stone. 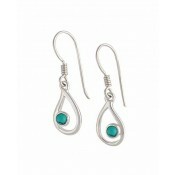 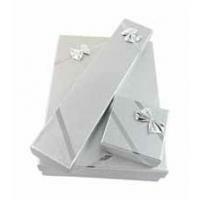 Each earring features two-tone metals and fitted to a simple hook fastening. 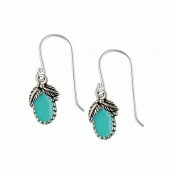 Fall in love with these beauties today.